3) Large viewing area. It allows the welder to see at different angles. 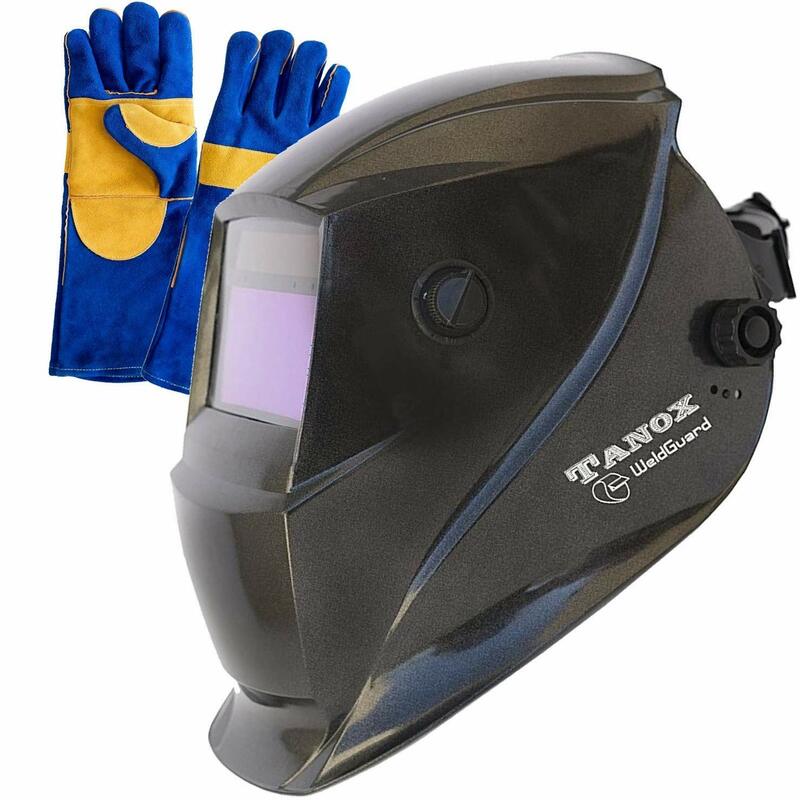 4) Is padded with a hard head adapter, and comes with automatic on/off power for Grinding, Arc Gouging, MMA, and other welding processes. So, in a nutshell, it is a really nice helmet. Includes features normally found on more expensive helmets. I particularly like the test switch and low battery warning light. I also like the gloves that came with them, they are very flexible. The helmet has a good viewing area, and a very helpful grinding mode. My welds got better because this makes me able to see the weld puddle more clearly. The instructions, or lack of instructions, left me wondering how to remove the lens, and I'm still not completely certain that the batteries can be replaced. The tension adjustment for keeping the helmet up are not sufficient. If you don't raise the helmet up completely then it will fall down. Not a big deal, but would have preferred that had sufficient tension or friction, to keep it at any position. My last complain is that this helmet is made from very thin plastic, and is not going to survive in an industrial setting.